In Phoenix Unbound (Fallen Empire #1) by Grace Draven, Gilene, a fire witch, is aware that her place within her village of Beroe is to make the trek every spring to offer herself up as a sacrifice for the grotesque enjoyment of the Empire. Her powers of fire and illusion have been passed down for generations in her village. And as Gilene’s clan is the only one she knows of with such powers, she must use them to save herself and spare the other women’s suffering as much as possible. But this year is different. After five years of paying the price for her abilities, Gilene is thrown into a cell with a gladiator who instead of abusing her as so many others have, instead coerces her into working with him to escape the city. Azarion finally has a plan, after ten long years of being enslaved, of how to free himself from the Empire’s clutches and return home to the Sky Below. He isn’t above using Gilene’s powers as a fire witch to not only flee the city, but to also claim his birthright as a chieftain’s son. But while Azarion and Gilene are on the run, they encounter dangerous situations and people who are not as honorable as they might seem. And he realizes that if he can make it back to his people, the Savatar, Azarion’s work will still be cut out for him. For he must rid the clan of the charlatan who took his own rightful spot as ataman, and he will have to gain the trust of outlying clans to fight against the Empire. Azarion would prefer to keep Gilene by his side for the foreseeable future. And not just because of her powers–but due to his growing affection for her. So when it comes time to keep his promise to return her to Beroe, will he be able to let her go? Phoenix Unbound was a thrilling epic fantasy filled with Intense battles, blackmail and treachery, but it was also about family bonds, trust, and a complicated slow burn romance that left me breathless with its power. New to Grace Draven’s writing, I had only the great buzz I’ve heard about her work to go by when I started this book. Now I can see why everyone raves about her. From the incredible world-building to the complex characters and of course the battle of good against evil, Draven created a story rich with descriptions and raw human emotions. I will caution that this had a fair amount of references (some in detail) to physical, sexual, and emotional abuse. So those passages may be tough for some readers to get through. But I didn’t think Draven went overboard with it. I mean, this was about an enslaved man turned into a gladiator and a witch who was basically burned alive every year to save the women in her village from meeting the same fate. There were bound to be some tough situations. Thankfully the abuse and degradation Azarion and Gilene suffered only fueled their battle against evil and their resolve to do what was best for their loved ones. Gilene and Azarion’s relationship changed greatly over the course of this book. 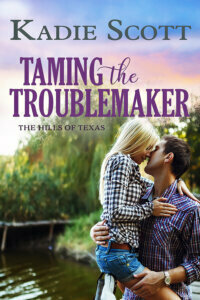 I may not have liked that he blackmailed her to get assistance in escaping–or that he took her captive. But Azarion did have a very good reason for his actions. It turned out that he really was honorable, with his actions always working toward the goal of getting back to his clan and helping them succeed. And my heart did go out to him with how he was enslaved for ten years and over what he had to endure. Gilene was also sympathetic to his struggles, having been mistreated (and that’s putting it mildly) by the Empire for the last five years herself. I thought her power as a fire witch and how it worked was a nice addition to the story. Gilene was brave and such a strong woman. Azarion saw that strength and courageousness in her, which honestly matched his own. So they did make a good couple. Once they quit bickering and pushing each other away, that is. 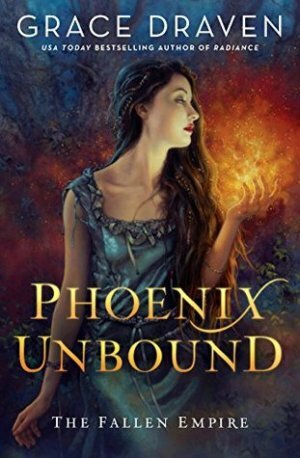 A grand romantic fantasy that will captivate readers, Phoenix Unbound was heartbreaking, inspiring, and absolutely mesmerizing. This was a remarkable start to the Fallen Empire series for Grace Draven and I can’t wait to see where she takes things from here. 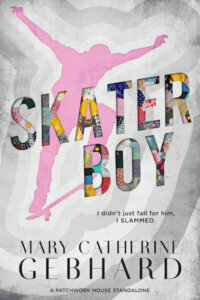 I am pretty excited to get this one read, I just started it and I am really like it so far. Yay! *claps hands* I’m hoping you love this one as much as I did. What an epic story!